Our conductive and anti-static coatings are applied onto plastic film substrates and are optically clearm often used in electronic applications in dielectric insulation and electronic displays. We will custom formulate these coatings to meet the most stringent applications. NORFILM 9000 series fluorosilicone coatings are designed for use with silicone pressure sensitive adhesives including medical grade silicone adhesives used in transdermal drug delivery applications. This series been specially designed to provide premium release characteristics when used with selected methyl based silicone pressure sensitive adhesives. Typical applications include backside release for self-wound silicone adhesive tapes. The buildup of static is a large problem in the plastics industry. The discharge of static can ruin an electronic component or cause visual defects in coated films and large discharge of static can cause personal injury and damage. Our NORFILM team has been applying topical coatings to plastic substrates to eliminate the buildup of static for over 40 years. Plastic substrates can be very smooth as is the surface that they are in contact. When these surfaces are separated a static charge can be generated. The ability to prevent this charge from developing can be the difference between a highly effective product and sporadic product failures. These coatings are applied uniformly across the film web in a controlled clean room environment. Conductive coatings have a higher degree of conductivity than static dissipative coatings. They can be used where a precise level of conductivity is required. NORFILM conductive coatings vary in conductive level from 35 ohms/ square to 5,000 ohms per square. These coating are designed with a blend of polymer resin with conductive filler. Our NORFILM team can work with you to apply specific patterns using gravure printing as well as offset printing. We provide specific colors for tinting of plastic films - any pantone color can be provided, however the primary colors are what are usually requested. The base substrate is usually polyester and the colors are added for product recognition. These coatings have been applied to a variety of substrates to meet critical application needs. Substrates include clear polyester, white polyester. Polypropylene, polyimide and a variety of extruded and blown plastic substrates. 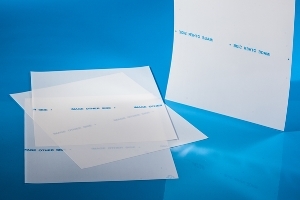 Coatings can vary from primer coats for ink adhesion to laser printable coatings that will provide a matte appearance. NORFILM coatings are specifically designed to enhance the abrasion resistance of plastic films. NORFILM abrasion resistant coatings provide excellent chemical and solvent resistance for long lasting appearance and performance.